Veet's Vegan Cooking School offers private classes to individuals or couples in the Mullumbimby area of Northern NSW. The classes will be tailored to the individual’s needs. The class can be as long as the participant likes with a minimum of 3 hours. $308 including GST for the first hour which includes all the produce and cookbook and other relevant resources. $176 including GST per hour for the other hours. $418 including GST for the first hour which includes all the produce and cookbook and other relevant resources. You can tailor your class to your particular needs or choose from one of the following. In this workshop you will learn a variety of simple and easy recipes that you will feel confident in trying out at home. The recipes will include, snacks, entrees, mains, drinks and desserts. The recipes will come from the ‘Veet’s Cuisine’ cook book and also some brand new recipes Veet has to share. There will be a theme called ‘a little bit around the world’ where we will explore different flavours from world cuisines. All recipes will be gluten-free and Veet will show you how to adapt them for your particular dietary requirements. In this workshop you will learn a variety of different recipes that have an Asian flavour yet incorporate the produce that we can source in Australia, maximising local ingredients. The recipes will come from the ‘Veet’s Cuisine’ cook book and also some brand new recipes Veet has to share. 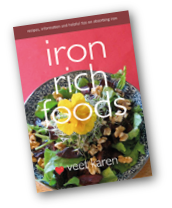 All recipes will be gluten-free and Veet will show you how to adapt them for your particular dietary requirements. You will go to the local farmers market with Veet and purchase the fruits and vegetables at the market, then take them back and explore ways to make creative meals with the produce that is in season that week. The recipes made during the class will be recorded and you will receive these recipes within a few days after the workshop. It will teach you how to adapt and be spontaneous with your meal preparation. All recipes will also be gluten-free. Simple raw food recipes, where the minimum of equipment is needed. Vibrant raw food that makes you feel fresh and healthy. We will make snacks, soups, desserts, salads, main dishes, nut cheeses and spreads. 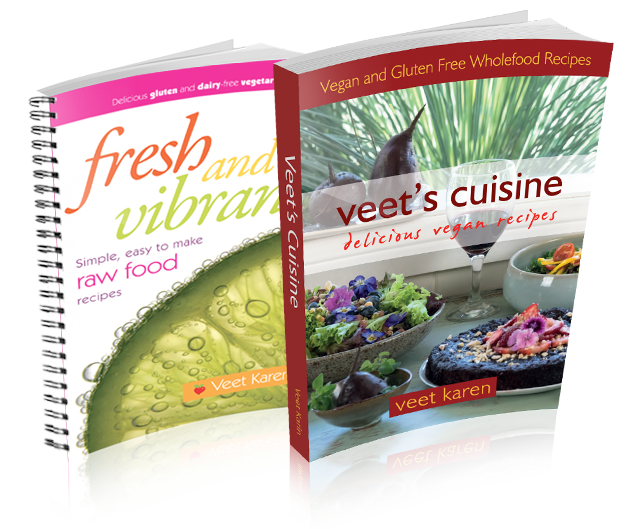 All recipes will come from Veet’s new book ‘Fresh and Vibrant’ simple raw food recipes. All recipes will be gluten-free and vegan. This workshop will focus on an array of gluten-free desserts and cakes. We will also make chai and a few other drinks. Looking also at easy ways to decorate cakes. You will receive a copy of all the recipes covered in this workshop.